Stock market performance report for Thursday 11th of April 2019 below. JSE Combined Index – 2.8m shares / $42.7m traded. (19 Advanced / 29 Declined / 10 Firm) . There were no new 52-week highs and 2 lows today. Ordinary Shares – Main Market – 1,802,932 shares, 31 stocks traded, 17 not traded. 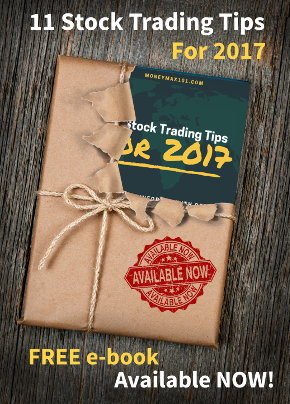 Ordinary Shares – Junior Market – 1,020,743 shares, 25 stocks traded, 10 not traded. Preference Shares – Main Market – 3,225 shares, 29 stocks traded, 20 not traded. Derrimon Trading Company Ltd (DTL) shares advanced 16.24% or +0.38 to close at J$2.72 with 3,500 shares traded. Stanley Motta Ltd (SML) shares advanced 14.45% or +0.63 to close at J$4.99 with 17,444 shares traded. Berger Paints Ltd (BRG) shares advanced 6.32% or +1.20 to close at J$20.20 with 217 shares traded. Jamaican Teas Ltd (JAMT) traded between -10.81% and 10.81% above yesterday’s closing price of J$3.70 ( from J$3.30 to J$4.10) . It closed at J$3.61. General Accident Insurance Company Jamaica Ltd (GENAC) traded between -4.31% and 7.66% above yesterday’s closing price of J$4.18 ( from J$4.00 to J$4.50) . It closed at J$4.13. Sygnus Credit Investments Limited JMD Ordinary Shares (SCIJMD) traded between 0.73% and 7.14% above yesterday’s closing price of J$10.92 ( from J$11.00 to J$11.70) . It closed at J$11.13. Everything Fresh Ltd (EFRESH) traded as high as 7.14% above yesterday’s closing price of J$1.40 (between J$1.40 and J$1.50) . It closed at J$1.42. FosRich Company Ltd (FOSRICH) traded between -5.57% and 6.54% above yesterday’s closing price of J$4.13 ( from J$3.90 to J$4.40) . It closed at J$4.14. Scotia Group Jamaica (SGJ) shares valued at J$3.6m were traded. The stock moved 0.00% or 0.00 to close at J$50.20 with 71,635 units traded. Jamaican Teas Ltd (JAMT) traded between 10.81% and -10.81% below yesterday’s closing price of J$3.70 (from J$3.30 to J$4.10) . It closed at J$3.61. Pulse Investments (PULS) traded between 6.00% and -10.00% below yesterday’s closing price of J$3.00 (from J$2.70 to J$3.18) . It closed at J$2.93. Lasco Financial Services Ltd (LASF) traded between -0.90% and -7.66% below yesterday’s closing price of J$4.44 (from J$4.10 to J$4.40) . It closed at J$4.34. Express Catering Ltd (ECL) traded between 1.20% and -6.79% below yesterday’s closing price of J$7.51 (from J$7.00 to J$7.60) . It closed at J$7.22. FosRich Company Ltd (FOSRICH) traded between 6.54% and -5.57% below yesterday’s closing price of J$4.13 (from J$3.90 to J$4.40) . It closed at J$4.14.